In fact, I’m happy to do it because the book is at half price at Amazon right now, which makes it all the more appealing. 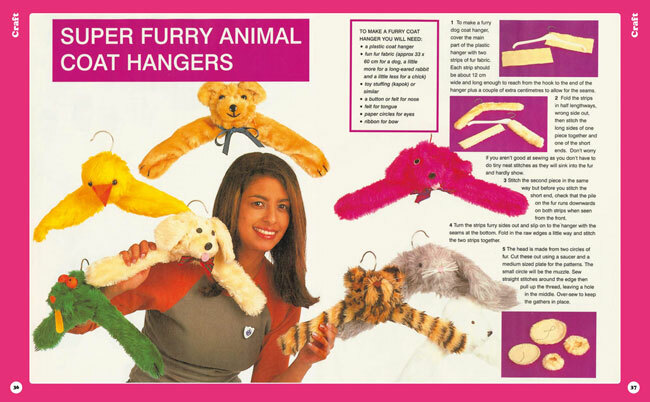 Not that it wasn’t appealing in the first place if you love a bit of old school crafting. As you might have guessed, this is the pick of the projects from the classic TV show. 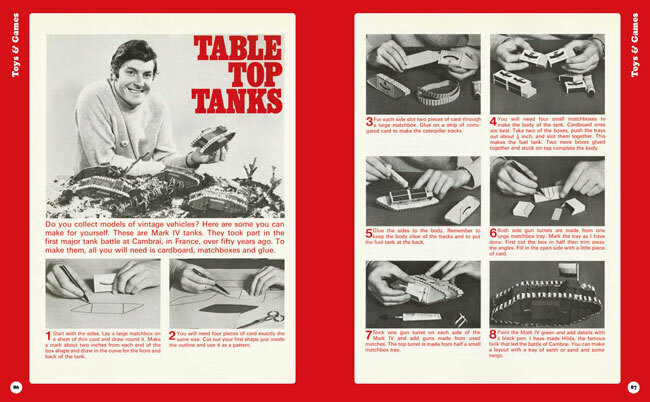 Blue Peter is the longest-running children’s programme in the world. At its peak, it notched up 8 million viewers an episode and received a thousand letters a day. 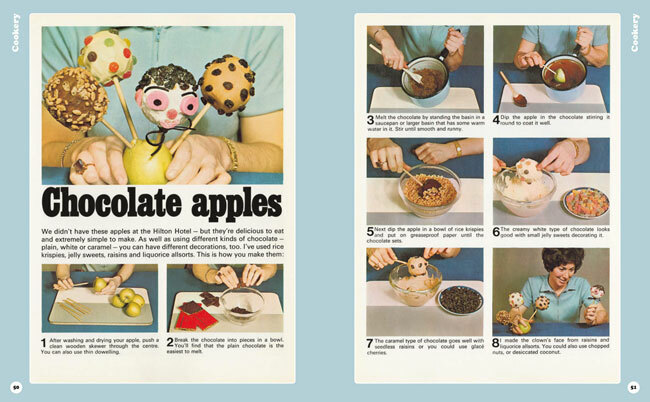 It included many different features and activities, but above all, it was famous for the crafting projects and models that used inexpensive household items such as cereal boxes and squeezy bottles, as well as the essential ‘sticky-backed plastic’ and ‘rubber solution glue’. No brand names allowed on the BBC, of course. 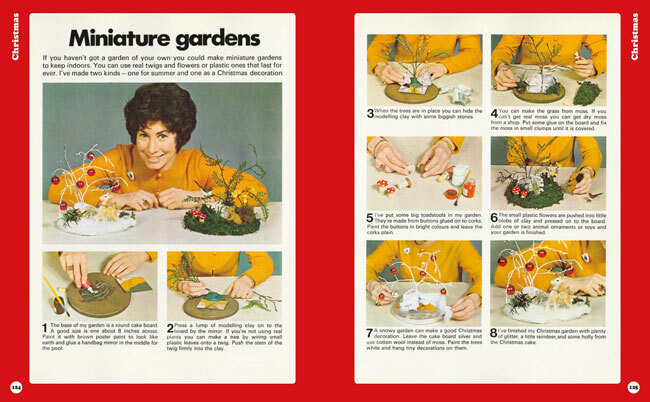 The book is a celebration of some of the most famous and infamous creations, made up of facsimiles from the Blue Peter annuals. The chosen few include the iconic Advent Crown, made with wire coat hangers, tinsel and candles, a Christmas Door Decoration made from a polystyrene ceiling tile, some more tinsel and a cake doily, a Luxury Cat Basket, made from a washing-up bowl, Plant Pots using old margarine tubs, a Doll’s House made from a shoebox (with furniture made from matchboxes) and of course, the most famous of all. 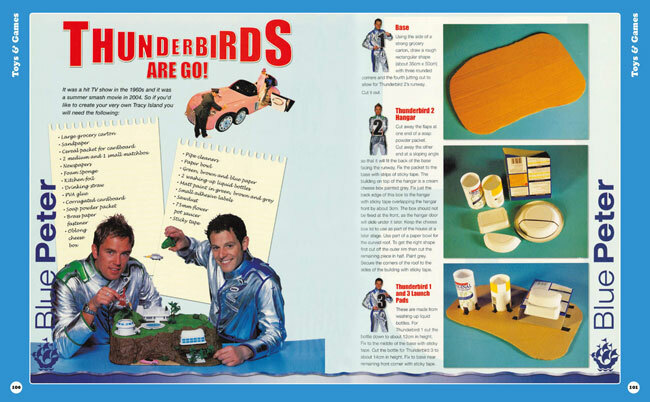 Yes, there are instructions for the Blue Peter version of Thunderbirds Tracy Island. 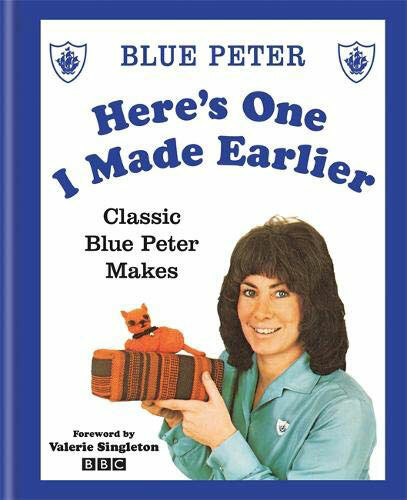 144 pages in total, Here’s One I Made Earlier: Classic Blue Peter Makes is available for a discounted £7.50 right now.